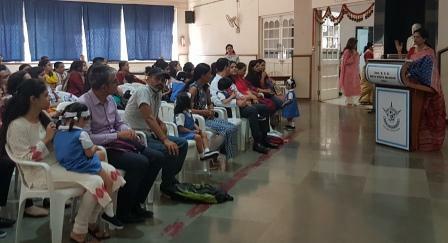 The parents and children of Play school 2019-20 were welcomed by the Principal Ms. Alka Agrawal, Principal Designate Ms. Damanjit Sabharwal and Subject Head Ms. Bhumika Pillai. 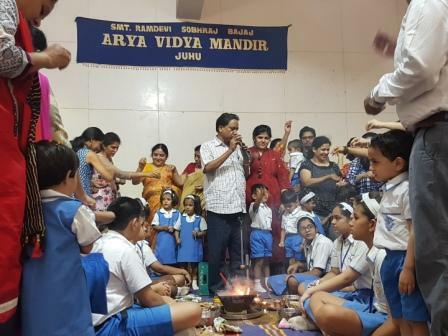 The Havan was performed by Mr. Ram Prasad Narayan along with students of Std VII. The aarti and school song was sung later. 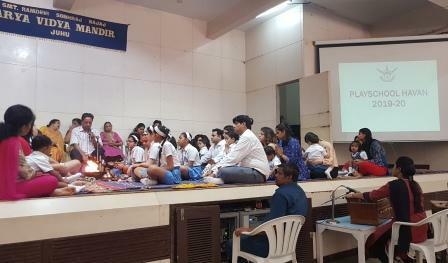 The parents and children participated in the Havan with great enthusiasm. After the Havan, the children were blessed with flower petals and prasad was distributed. 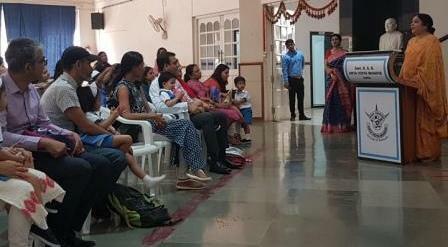 Mrs. Agrawal congratulated the parents on securing admission in AVM and welcomed them to the family. She assured them that their ward was in safe hands of experienced as well as capable teachers. Mrs Sabharwal welcomed the new batch. She suggested the parents to be patient and help the children become independent and deal with separation anxiety. Mrs. Bhumika Pillai welcomed them to the AVM family and discussed the general rules and procedure of the school. The Playschool Class Teachers were then introduced to the parents.